No other brand works more closely with consumers. Driving business to independent garden centers is the primary goal of our marketing efforts. From talks to master gardener groups and garden clubs to mailing out thousands of our Gardening Simplified reference guide to homeowners across North America to our social media outreach to our extensive print and radio ad campaigns, we aim to give consumers the inspiration and confidence they need. Our marketing isn't meant to be secret. What would be the good of all of our marketing if we didn't give you the chance to learn about it before it's put into action so you can meet the demand it creates? 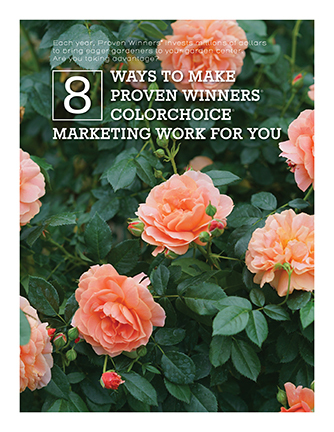 That's why we distribute our print ad schedule, radio advertising plans, and other marketing initiatives in our annual report, 8 Ways to Make Proven Winners Marketing Work for You. Request a copy from your account manager, or read the current version below. Every year, Proven Winners offers garden centers the opportunity to become Certified Proven Winners retailers. Recruit your staff to watch the informative video to learn more about annuals, perennials, and shrubs, as well as merchandising ideas and other cultural tips. Everyone takes the test, then celebrates with rewards like t-shirts and business cards, plus a free pizza party. 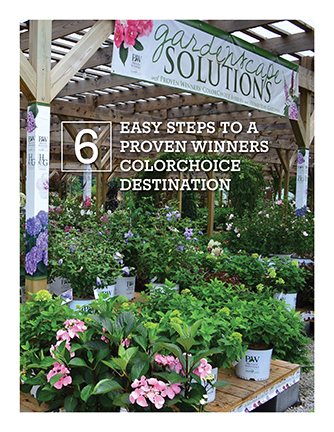 Certified garden centers enjoy priority listing on the Proven Winners retail locator. The Certified program runs February 1-May 1 each year. Looking for a wholesale supplier of our shrubs? Contact the account manager for your state or province, and we'll put you in touch with one of our customers who can provide you with a steady supply of beautiful, retail-ready finished shrubs.